:: Stumped For A Valentine Gift? How about a "Chiro-tine" This Year? :: Online Supplements Ordering -- Fast and Easy! February's here and we're celebrating Valentine's Day and American Heart Month. Having a healthy heart is all about exercise, eating well, maintaining good blood pressure as well as dealing appropriately with stress. Did you know that regular Chiropractic Neurological care can help promote cardiovascular health? The brain regulates the most basic aspects of life, such as breathing, heart rate and blood pressure. By activating under-functioning parts of the brain, Chiropractic Neurological care helps to improve brain function which helps to naturally reduce blood pressure. Take care of your heartand it will take care of you! We will be on vacation from February 14-21. Please note that our office will remain open for BrainCore neurofeedback training, acupuncture and massage. Be sure to schedule your chiropractic appointments accordingly. Antioxidants are naturally-occurring chemicals the body produces to protect itself from free radicals that can wreak havoc on our health. Fruits and vegetables are also good sources of antioxidants and now a new study reveals that chiropractic adjustments may also play a role in boosting antioxidant production. Study participants received chiropractic adjustments twice a week for five weeks. At the end of the period, researchers found an increase in activity levels of two types of antioxidants. The results suggest that chiropractic adjustments play a role in boosting production of these important enzymes that help to strengthen the body's ability to fight a wide variety of illnesses. Want to boost your immune system and ward off premature aging? Incorporate antioxidant-rich foods into your diet like sweet potatoes, asparagus, spinach, broccoli, berries and nuts -- and make chiropractic part of your regular wellness care! You've heard that exercise and diet can improve brain function, but did you know that music can also stimulate the brain to operate at its best? Recently featured by CBS news, The Listening Program (TLP) helps improve focus, memory, listening, creativity and communication simply by listening to psychoacoustically modified music. This specially designed music program exercises the different functions of the auditory processing system, enabling the brain to better receive, process, store and utilize valuable information we receive daily through music, language and our environment. We have been using TLP as an adjunct therapy to our BrainCore neurofeedback training program for our adult and pediatric patients. This home-based therapy helps guide the brain into the desired brain-wave pattern, helping to facilitate the neurofeedback training process. Patients report benefits in numerous areas including, fine and gross motor skills, communication, attention, better sleep and overall quality of life. TLP is also available as a stand-alone therapy through our office. If you'd like to learn more about how this pleasurable and effective therapy can help improve your brain health and performance in the comfort of your own home, contact our office for more information or visit www.newlifechiropractic.com/braincore-therapy/the-listening-program. Stumped For A Valentine Gift? 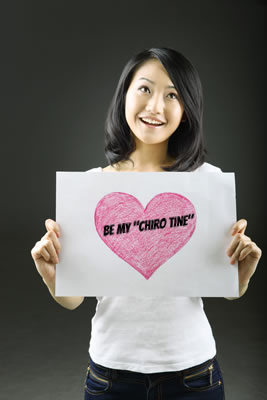 How about a "Chiro-tine" This Year? It's February which means our "Chiro-tine" promotion is back at our Smithtown office! Share with us the names of family members or friends that you would like to introduce to the benefits of Chiropractic Neurological care and we'll send a "Chiro-tine" from you, a $75 gift certificate that can be used towards a chiropractic visit, nutritional consultation or for BrainCore neurofeedback therapy. When your loved one redeems the "Chiro-tine" you'll receive your choice of a 30-minute massage, a 30-day supply of a nutritional supplement or a complimentary QEEG brain map. Call us today about this limited time offer: 631.265.1223. According to a recent study, almost one-third of American adults between 65-80 years old use Benzodiazepine sedatives/anti-anxiety drugs for anxiety, depression or insomnia. 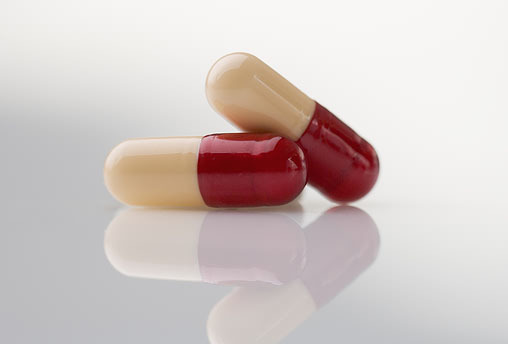 These drugs are known to produce dangerous side effects in older adults, increasing the risks of falls and can affect mobility as well as impair driving skills and cognition. In fact, French and Canadian researchers just this fall reported a link between Benzodiazepine drugs and Alzheimer's disease, noting that the longer the usage, the greater the risk of later being diagnosed with Alzheimer's. Compared to those older patients who did not take the drugs, the risk rose 84 percent for those who took daily doses of Benzodiazepine for more than 6 months. There are many alternative therapies such as acupuncture, chiropractic, yoga and nutritional supplements that can help alleviate anxiety, depression, sleep issues and other neurological conditions without drugs and their dangerous side effects. Neurofeedback is an effective therapy that can help retrain the abnormal brain waves that underlie these conditions, resulting in long-lasting, and for many permanent relief. If your aging parent or loved one has been prescribed a Benzodiazepine drug for his/her condition, talk to us about these natural alternatives. A little yellow pill is definitely not the proverbial "mother's little helper"; it's actual playing with fire. Ever wonder exactly what's in your food? Next time you're at the market, take a look at the label of some of the foods you may be tempted to purchase. You may be very surprised at what you find in the ingredient list, possibly a long list of difficult-to-pronounce substances you would never willingly put into your own body, not to mention your child's. This month I'm happy to share with you a delicious, easy pancake recipe with very few ingredients that are actually high in protein, heart healthy and are NOT toxic for you. If you're confused about what other foods you might be eating with hidden toxins in them, I offer a personalized pantry clean out program and supermarket shopping tour that will help you choose and prepare nutritious foods for your family. Learn more here and take advantage of my February special listed at the end of this newsletter! Online Supplements Ordering -- Fast and Easy! Did you know you can stock up on your favorite supplements online, anytime? Visit Designs for Health and nutraMetrix estores. Open 24/7! Supplements: 10% off in-stock Advanced CoQ10 Heart Health supplements. Health Coaching: $100 off a 90-minute private food shopping experience or pantry clean out with holistic health coach Lety Algeri. Email Lety about this offer at: lety@MindfulEatingHC.com.